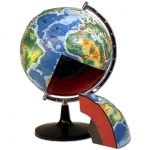 Maps, Globes & Orienteering There are 9 products. 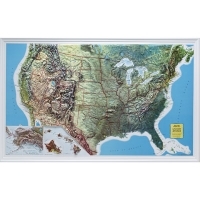 Raised Relief Map, Usa. (Oversize). This colorful raised relief map highlights the mountain ranges, rivers, plains and lakes that molded much of the history of our nation. Features: 34 x 21" in size; scale: 1:6,250,000; 1" = 100 miles; unframed This item ships oversize. Oversize fees will be added to your shipping. 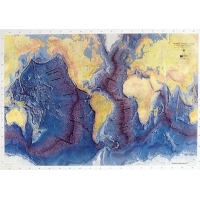 Raised Relief Map, Ocean Floor. (Oversize). View the world beneath the sea: the ridges, trenches, mountains, continental shelves, continental slopes and islands. Features: 34 x 21" in size; scale: 1:6,250,000; 1" = 100 miles; unframed This item ships oversize. Oversize fees will be added to your shipping. Graduated 0 to 360° in 2° units, this economical compass represents an outstanding value. Liquid-filled capsule, luminous points, acrylic base with 4x magnification, lanyard. Instructions; For Northern hemisphere. 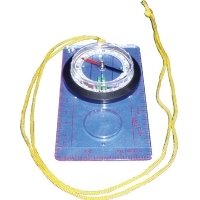 This military style compass is ideal for following a course over the ground. 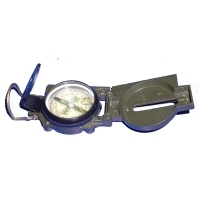 Compass card has degree scale; rotating bezel; sighting wire top cover; thumb hook; lens. 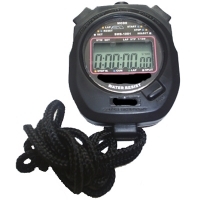 Graduated in 0 to 360° in 5° increments; shock resistant; with instructions; for Northern hemisphere. This replica of a standard compass is so large that everyone can group around it and see it clearly in the field. 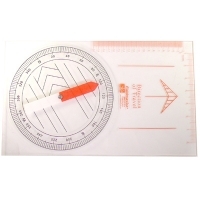 Clear plastic with a movable dial and needle-can also be used on an overhead projector. Calendar & Tim Display FunctionFastest & Slowest & Average Lap CalculationCount down TimerLarge-sized two-row or three-row digital display panelWater resistant to 25 m with 0.025 accuracy.